Monterroso is a hamlet in the northern province of Lugo. 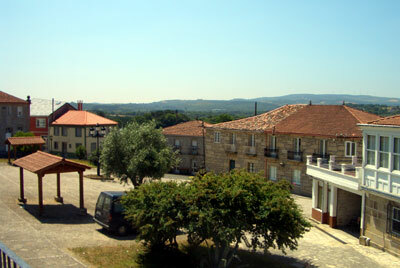 The Monterroso district is located almost centrally in Galicia when viewed on a north to south axis and lies east of Santiago de Compostela, just over an hour’s drive away. 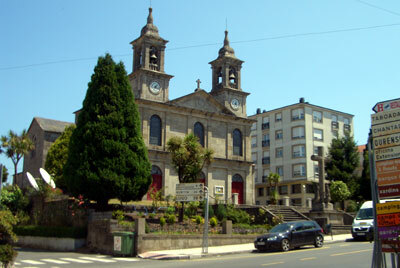 The appeal of Monterroso is not so much in its visitor attractions as it is in its comparative popularity with English speakers wanting to relocate to the Lugo province of Galicia. Monterroso, along with Antas de Ulla, Chantada, Palas de Rei, Verin and a number of other towns in this vicinity, are seen as offering a rural escape from busy British, Irish and American cities and now have a small, but widely scattered English speaking population. 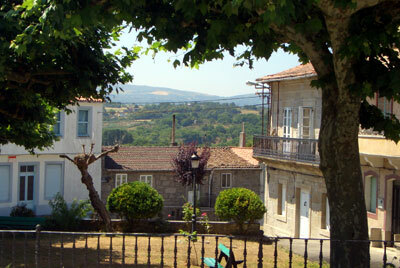 Monterroso and the surrounding countryside is full of pine forests, meadows and many rivers. Recently this area has been likened to Cornwall in some poorly researched newspaper and magazine property features, but it lies over 100km from the sea and has no similarities at all with this area of England. What you will find is many small villages making up the greater conurbation and a constant scattering of pilgrims on route to Santiago de Compostela. If you like the idea of living in this area, then house prices can be fairly low, especially for the many run down rural stone houses that litter much of the scenic countryside and make ideal renovation projects. Do remember that there is a reason for the low cost of property in this province. One reason is that many of these old farm houses are isolated. Another is that it will cost a lot of money (and take a lot of time) to renovate them. Thirdly, this is a province with de-population and a decreasing job market. If you think that you can earn a living in Lugo you may have to think again. Finally, Lugo has the coolest summers in the region and the winters can be long and wet - but that can be said of much of Galicia and Asturias. Several English speaking agencies now specialise in selling property in these areas of Lugo, so the buying process is not as difficult as it once was. However, you will still need independent legal advice, so beware of any estate agent who tells you that you do not.